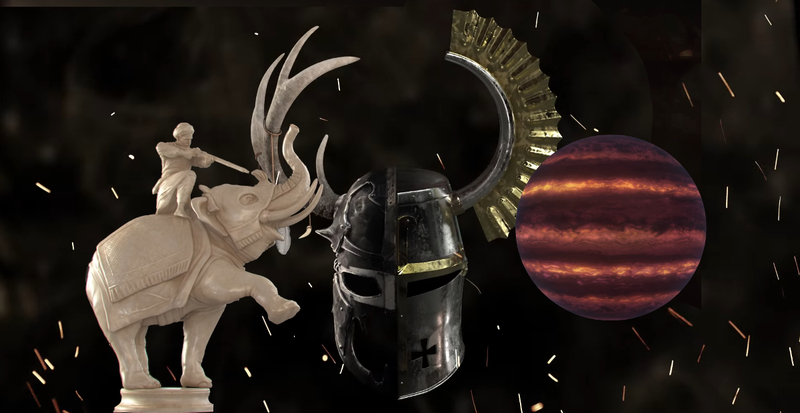 Today at PDXcon's announcement show, among the game reveals, news of more DLC packs for Crusader Kings II, Europa Universalis IV, and Stellaris were all announced to be coming in 2018. The first pack to be released will be the Stellaris story pack, Distant Stars. The pack will add new solar systems and "a mysterious sealed off constellation entirely removed from our galaxy." The main focus of this pack will be returning the thrill of exploring the galaxy by adding in more anomalies when traveling through space. The free update that accompanies the game will introduce new types of stars to the base game, and to help keep all the new anomalies organized, the anomaly menu system has also been reworked. Distant Stars will be available for purchase on May 22, and will sell for $9.99. The Crusader Kings II expansion, titled Holy Fury, introduces two new warring factions: the Northern Crusaders of Catholic Europe, and their Pagan neighbors just to the north. Holy Fury will add bloodlines into the mechanics where characters that are descendants of great leaders such as Charlemagne will have comparable skills to their ancestors. New crusade events, succession laws, and changes to the way religion works will also accompany the expansion as well as the ability to have your character be canonized or even coronated as ruler because a higher power demands it. Holy Fury only has a release window of 2018 so far but when it does release, it will run you $19.99, as well as be joined by a free update for those unwilling to buy it. Finally the Europa Universalis IV expansion, Dharma, will retool and expand the country of India and how the outside world will attempt to utilize and exploit the East Asian countries that surround it. Focusing mostly on peacetime interactions, the government mechanics for many of the nations will be customized and reworked so that they feel more appropriate. Indian mission trees will be introduced as well as a special new government for those players that already own the Cossack expansion. As well as the government mechanics, the trade system will be reworked to allow European nations to "interact" more with Asian and African nations. This includes adding in a charter company that will allow rich nations to buy their way into trading so long as you can find a ruler that trusts you. Trade centers will also be able to be upgraded, further expanding your means of making money. The accompanying free update will rework the maps of India, Tibet, and Burma as well as spruce up the look of the policy system. Like Holy Fury, Dharma doesn't have a set release date and instead is only listed as coming by the end of the year. Dharma, like Fury, will also run you $19.99.